Today’s page is one we created in our class on Sunday week. It is going to be repeated later on at the request of a couple of ladies who couldn’t make it on the day but want to create the pages. There have been a few ladies saying that they will be back to do the same class again, as they have heaps of photos to scrap. This means that the pages will look totally different with new photos. 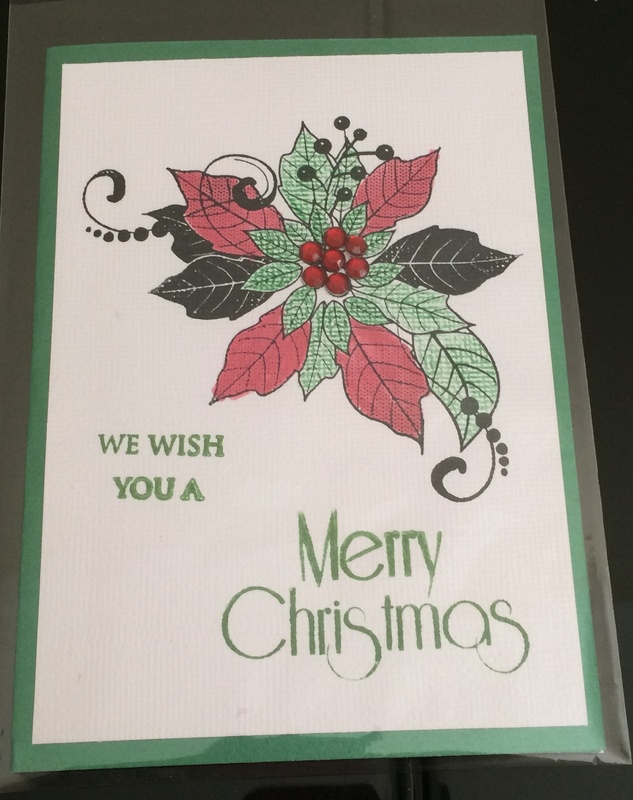 For my page I cut a piece of the retired “Peace This Christmas” DSP, adhered to a strip of Garden Green before adhering to a piece of Very Vanilla & then to Cherry Cobbler Card. 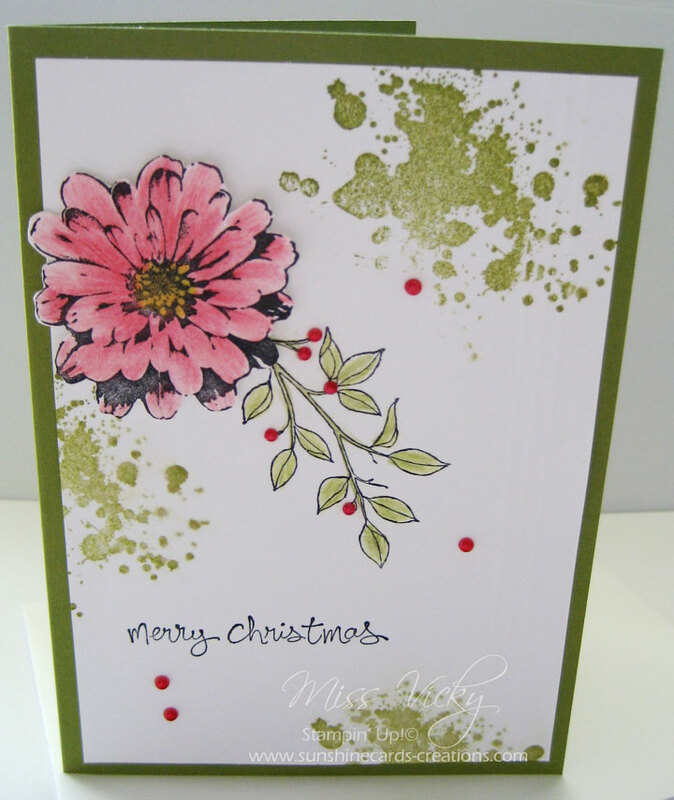 The Garden Green & Cherry Cobbler are part of the with the “Be Merry” Cardstock Pack. A piece of Very Vanilla was cut back to size so that we could fit 4 x photos on it & adhered to the Cherry Cobbler Base. Some of the ladies settled for 2 x photos which looked fine on the layout. We stamped a couple of the holly branch image from the Holly Berry Happiness Stamp Set onto scraps of Very Vanilla CS in Memento Tuxedo Black Ink, coloured & blended with our Blender Pens before fussing cutting. The bows were stamped in the same ink but coloured with Cherry Cobbler & punched out with the matching Holly Berry Builder Punch. We stamped a number of the small holly images onto scraps of Very Vanilla CS, coloured & blended with Garden Green before punching with the same Punch & adhering to the braches of holly with the Mini Stampin’ Dimensionals. They were then adhered down the side of the page, the bows adhered to the tops with Mini Glue Dots & Cherry Cobbler Candy Dots (retired) adhered to the branch. For the title, we cut a banner shape into each end, adhered a couple of the left over holly images to each end along with the Candy Dots before adhering to the bottom part of the page. To finish off the page, some of the ladies then scattered a couple of the Candy Dots around the page. The page would suit the new Be Merry DSP too. It is just that my order didn’t arrive in time. The ladies were more than happy to see how I use the retired DSP. Mind you the pages were great sellers for both the Stamp Set & DSP. Be sure to check out the Class Page for our next class. We will be creating 2 beach pages. All you need to bring is yourself & or a friend. Everything is supplied. Be sure to check back in a few days time when I will show you our 2nd page. I thought I would share with you a video by Stampin’ Up!. It is highlighting the lovely Stamp Set – “Double Take”, Page 39 from the 2017 Occasions Catalogue. Today’s Card is continuing from our Play Day & was created by Gail. I took inspiration from it & used Stampin’ Up! products on it. As you can see I have changed it a little – well a lot! I just couldn’t stop & kept going! I actually purchased this Stamp Set – Choose Happiness – to create a Christmas Card. For some reason it reminded me of Christmas & had to go along with it. I also saw a card from the very talented Julie Gearinger which screamed this stamp. Thank you Gail & Julie for your inspiration. The ladies had heaps of fun creating the card & as usual even though we all start out with the same kit but they quickly grew into completely different cards – see photo below of our cards. Don’t forget to click on the link above the photo to grab a free tutorial on how I created my card.